Nature Dog is brought to you by dog lover Annie (human) and her loyal companion Mollie (dog/human) a Border Collie x Maremma. When Annie was given Mollie, a tan and white 8-week old pup in 2003, she was determined to provide her with the very best of everything. After a friend mentioned to Annie that dogs should only eat raw food, Annie was intrigued and began to research the concept. Her research into the natural diet of dogs and the lack of raw and natural dog food offered in the market, led Annie to make her own natural and raw mix for Mollie. More and more people then started asking Annie why Mollie’s coat always looked so good, why she didn’t smell doggy, why she had a calm temperament, and why she had such clean teeth & fresh breath. 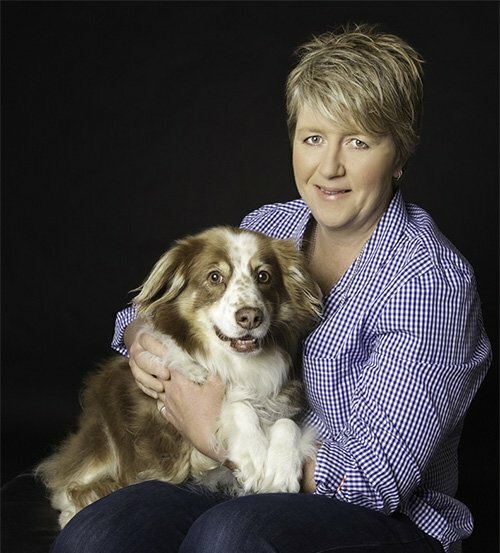 This led Annie to start Nature Dog; to give other dog lovers and their pooches access to raw & natural dog food. Nature Dog is aimed at improving the health and well being of your best mate by providing totally natural, raw dog food that is free of preservatives, colours, fillers, chemicals, and additives and is NOT cooked!!! It is also aimed at re-educating the dog owner, to bring about an awareness of how pet food companies use their mass-marketing power to totally brainwash pet owners, to deliver returns to shareholders with no regard for the health and well being of our pets who cannot speak for themselves!! These companies profit on your misinformation of what dogs should really be eating!! If you are a serious and responsible pet owner and are concerned for your dog’s health, well being and longevity, then feeding your dog Nature Dog is a step in the right direction. Annie has completed a Certificate in Small Animal Nutrition (220 hours) through the National College of Traditional Medicine to complement her years of study in Applied Science Horticulture and Outdoor Education. Your best mate will thank you! !